Dr. William Portuese is a Top Board Certified Facial Plastic Surgeon in Portland – Hillsboro Oregon area who specializes in facial cosmetic and plastic surgery. 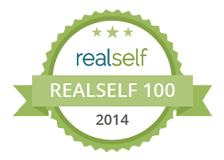 He has dedicated his facial cosmetic surgery practice in Hillsboro – Portland Oregon, to obtaining natural results. His team of board-certified doctors, anesthesiologists, registered nurses, physicians, and patient care coordinators take great pride in assisting patients to achieve their goals for better self-confidence and positive feelings about themselves. This dedicated surgical team of healthcare professionals strives to make the experience as seamless and comfortable as possible through the entire process of consultation, cosmetic surgical treatment and the postoperative healing. We offer Chin Implants, Cheek Implants, BOTOX Injections, Aesthetic Neck Lifts, Neck Liposuction, Facial Rejuvenation Procedures and specialize in: Rhinoplasty – Nasal Contouring, Revision Rhinoplasty – Rhinoplasty Re-Do, Broken Nose Repair, Septoplasty – Deviated Septum Surgery, Closed Rhinoplasty Technique, Blepharoplasty – Eyelid Surgery Rejuvenation, and Facelifts. Portland Oregon facial surgeon William Portuese MD is a clinical instructor at the University of Washington Department of Otolaryngology and is the current president for the Washington Ambulatory Surgery Center Association (WASCA) 2015-2016. In addition, this Portland facial plastic surgeon teaches residents the latest cosmetic techniques in top cosmetic rejuvenation treatments. 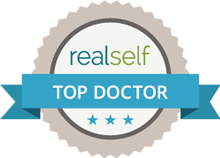 He is also a Realself.com Top 100 Doctors 5 years in a row. He is the past president of The Washington Ambulatory Surgery Center Association, 2010-2011 and again from 2015-2016. Double board certified facial plastic surgeon Dr. William A. Portuese is board certified by the American Board of Facial Plastic and Reconstructive surgery, and by the American Board of Otolaryngology, Head and Neck Surgery. He is a frequent lecturer and author of numerous publications in his field and gives presentations on a local and national level. He is also the current president of the Washington State chapter of Facial Plastic Surgeons. 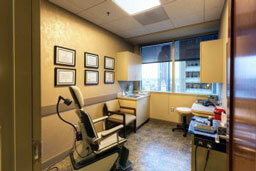 He has been in private practice for over 26 years. Dr. Portuese specializes in nose jobs, rhinoplasty, eyelid lifts, and facelifts. For facial cosmetic plastic surgery in Beaverton, Tigard, Tanasbourne, Washington County Oregon contact us today. Dr. William Portuese is the Medical Director and founder of The Portland Center for Facial Plastic Surgery. 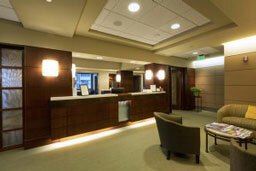 Our surgical center is located in Seattle, and is a state-of-the-art, Medicare certified outpatient surgical center. It is also fully licensed by the Washington State Department of Health. This represents a very high standard of care in outpatient surgery. Patient safety, caring and comfort are of the utmost importance to our professional healthcare team. Dr. William Portuese specializes in difficult nasal surgery, face/neck lifts, eyebrow lifts, blepharoplasty and placement of both cheek and chin implants Oregon. 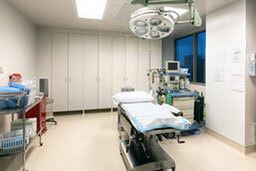 Most of these surgical procedures are performed under general anesthesia in our outpatient surgical center. Dr. William Portuese received The Physician of the Year Award from WASCA, (The Washington Ambulatory Surgery Center Association) 3 times in years 2010, 2012 and in 2016. William A. Portuese takes great pride in helping patients achieve their aesthetic goals with a natural appearance. 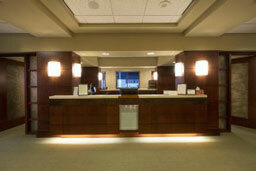 Schedule a consultation in our Hillsboro Oregon medical clinic. "Dr. Portuese was great. He didn't force the procedure on me. Instead, he discussed what is usually done with cases like mine, such as allergy shots, which I was already getting. 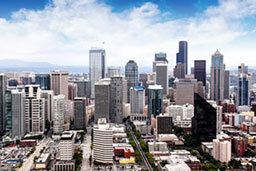 Since we had exhausted everything and I really wanted to get this issue solved, I opted for the procedure... Portland OR"